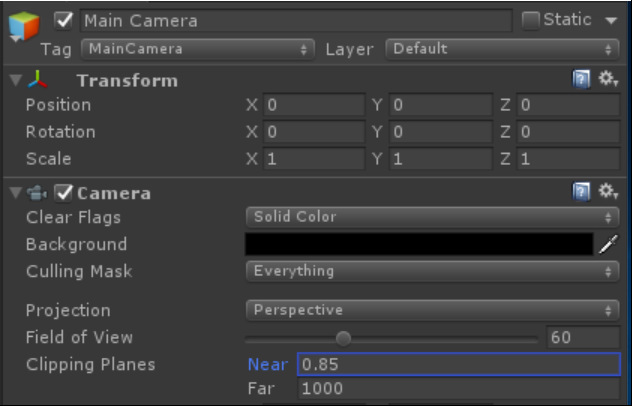 Whenever you start a HoloLens project from scratch in Unity, you’ll need to do a couple things to get everything in place to deploy to a HoloLens device. 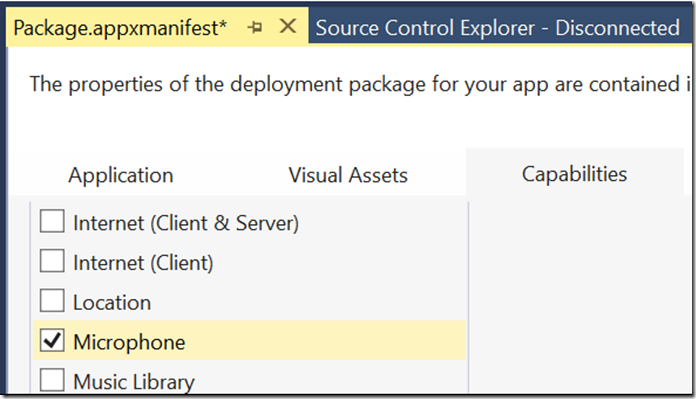 The items required fall into the categories of camera, player, build, and Visual Studio deployment. Click on the Windows icon & open Other Settings. 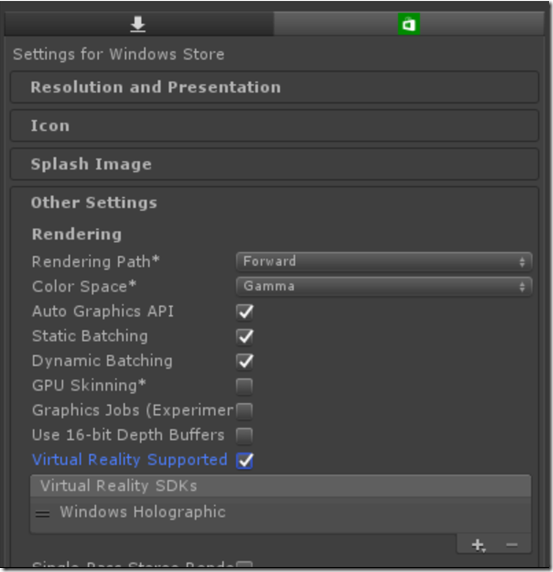 Check Virtual Reality Supported and add Windows Holographic to the list of supported VR SDKs*. *If you don’t have Windows Holographic as an option, you may be using a version of Unity that does not support HoloLens development. 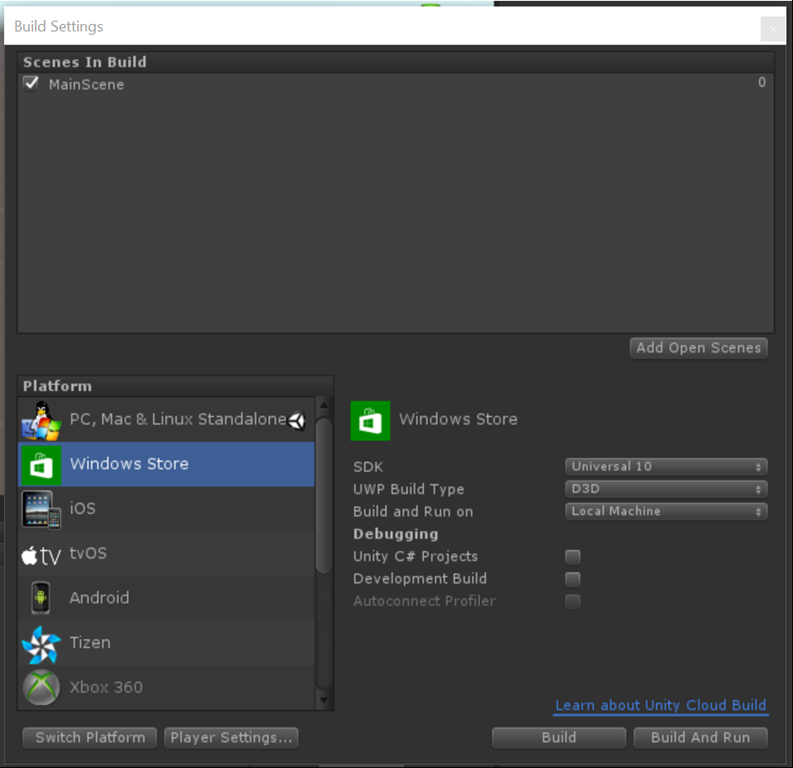 Go to the Unity HoloLens site to resolve this. 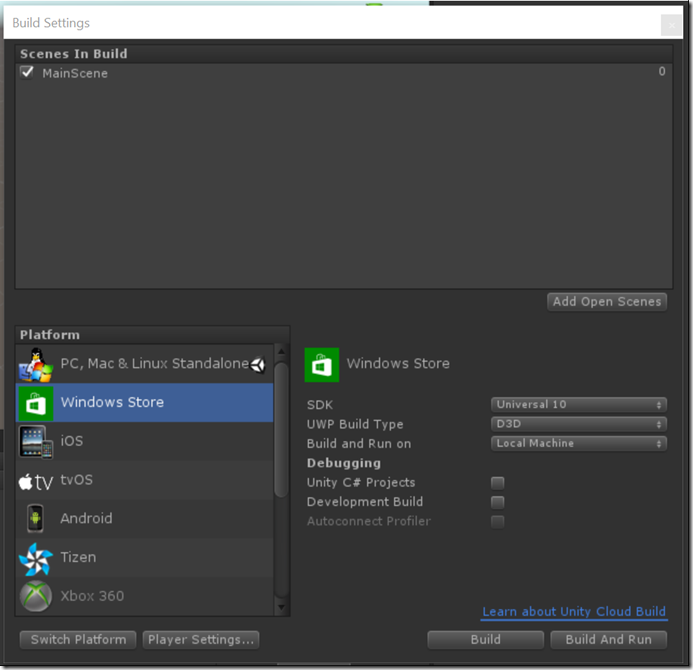 If you’re starting from scratch, you’ll need to save your open scene before you build the app.